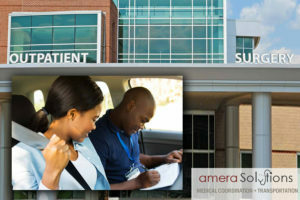 For transportation to medical appointments in Orlando, Florida, Amera Solutions is the only logical choice. We have been exceeding the expectations of people throughout Orange County for many years, and we continue to grow as a result of our 100 percent client satisfaction rate. If you take a moment to look through the many completely objective testimonials that we have posted on this website, you will see that we really do go the extra mile to provide world class service. There are so many good things to say about the city of Orlando that it is hard to know where to begin. Of course, it is one of the most important tourist destinations in the entire world, and venerable Walt Disney World and the other theme parks are major attractions. In addition to the tourist industry, there are numerous engineering firms in town, and the film and television industries are well represented. The ideal weather adds to the appeal, and there are world-class golf courses in the area that can be enjoyed all year around. Plus, local young people do not have to go far to get a world-class college education. Orlando is the home of the highly regarded University of Central Florida along with the Florida A&M University College of Law, the Florida State University College of Medicine, Valencia College, and Seminole State College of Florida, just to name a few. Residents of the city are also served by some fantastic hospitals, including Orlando Regional Medical Center, the Winnie Palmer Hospital for Women and Babies, and Florida Hospital Orlando. If you ever need hospital patient transport to any of these facilities, we will be here for you, and we can accommodate wheelchairs when necessary. Plus, in addition to hospitals per se, we can be relied upon for transportation to medical appointments that are at clinics, private physicians’ offices, physical therapy centers, and all others types of health care facilities. We will be standing by to provide world class service whenever you need transportation to a hospital or transportation to medical appointments in Orlando, Florida. And you can rest assured that you won’t experience any sticker shock when you learn about our pricing, because our rates start at just $15. You can speak with one of our knowledgeable patient transport specialists right now if you call us toll-free at 855-263-7215.